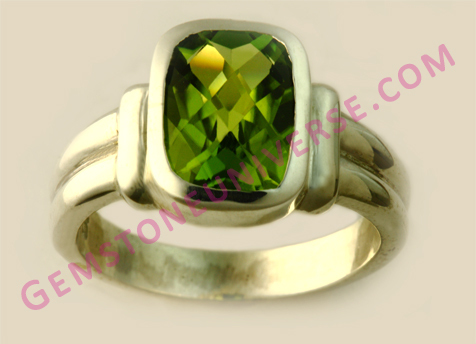 You are here: Home / Jyotish Gemstones and Talismans / Deep intense coloured and fascinatingly cut fully natural and untreated Chinese Peridot set in sterling silver ring! Natural Peridot the superior alternative gemstone to Emerald! Natural Peridot – The gem of the planet of business and communication – Mercury!